This image is one of those lucky shots that photographers get from time to time. 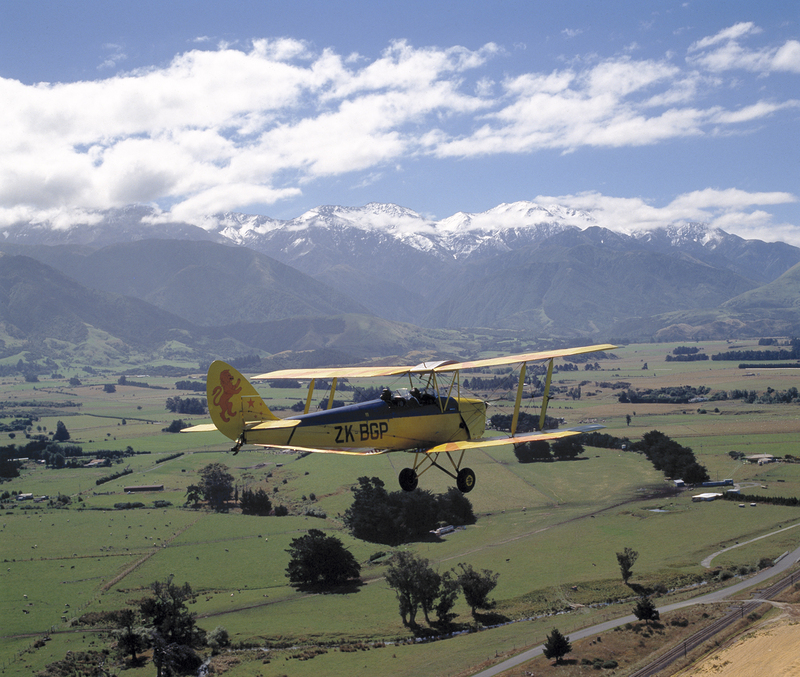 I was flying in loose formation with this Tiger Moth along the East Coast of New Zealand’s South Island. We were just flying from one airfield to another and no photography had been planned. All of a sudden, as we came around a bend in the coast, the snow and cloud-capped Kaikoura Mountain range burst into view. Immediately I handed control of the aircraft to my flying companion. As a fellow photographer he needed no explanation of why from me and he briefed the pilot of the Tiger over the radio of our intentions while I grabbed the cameras from the bag behind my seat; I always fly with the cameras loaded with film just in case so I was ready. Closing in for the shot I had just enough time to shoot off half a dozen images before the composition changed.